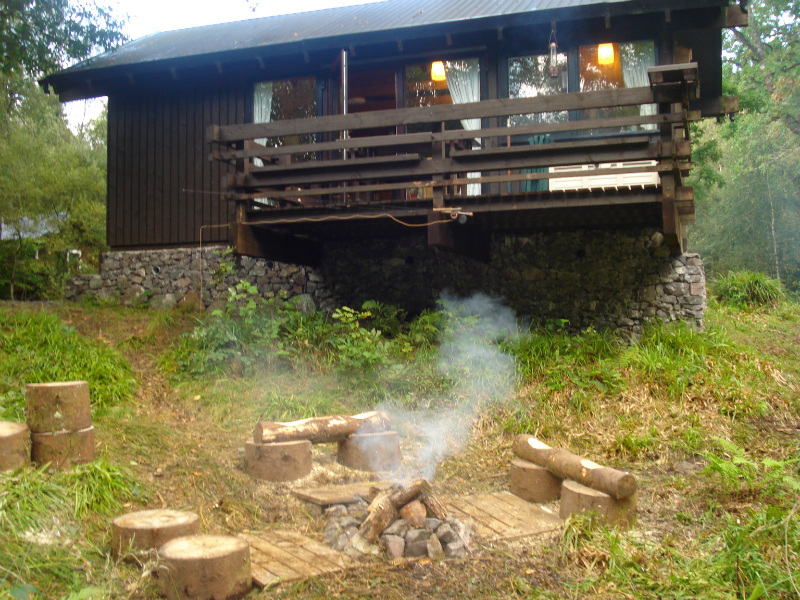 Strae log cabin provides self-catering accommodation for up to five guests and is situated in a quiet forest location by a babbling burn, approximately 150 yards from Loch Awe. 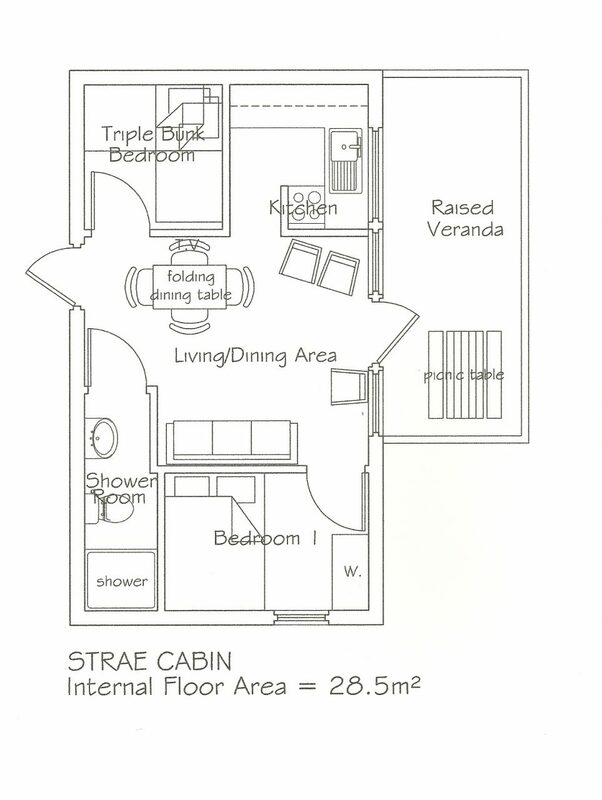 The accommodation consists of an open plan lounge, with dining and kitchen area, two bedrooms and shower room. 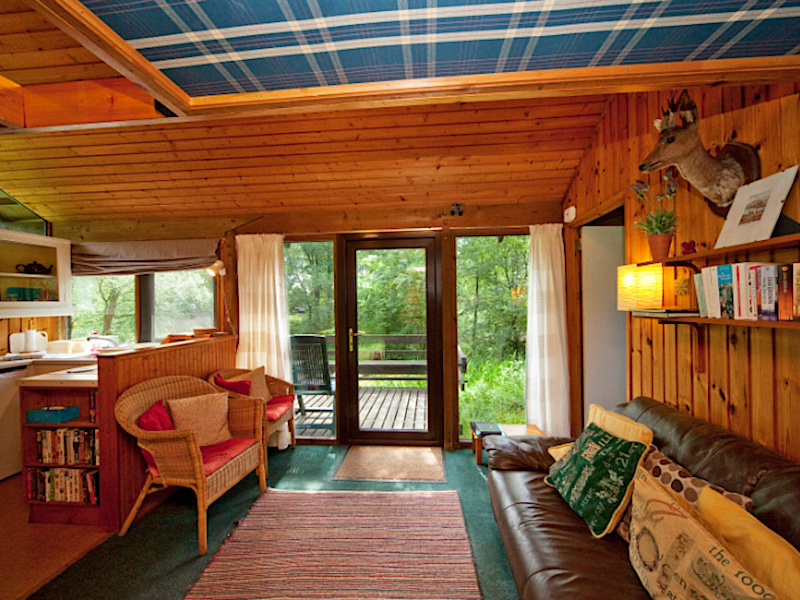 The lounge area has TV, video, DVD player & Hi-Fi (via DVD), radio, a three-seater sofa, two easy chairs, fold away dining table and chairs and loft bunk. 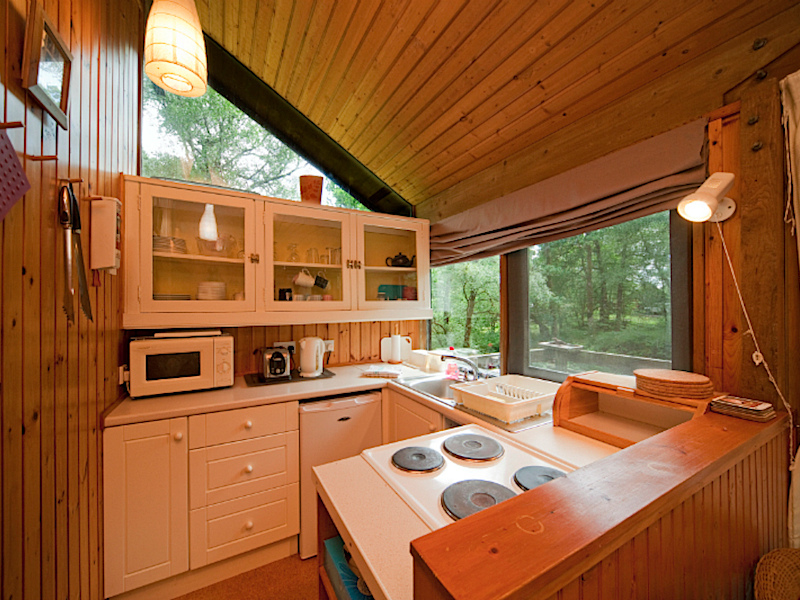 The well equipped kitchen area has a cooker, fridge, microwave, toaster and kettle. 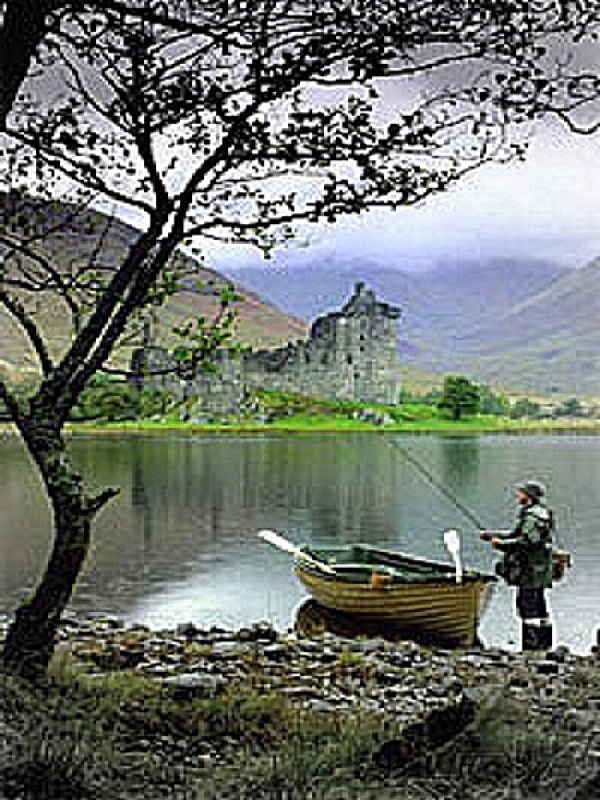 A full range of cooking utensils, crockery and cutlery are provided. From the lounge area patio doors give access onto the raised veranda, which overlooks the burn and has picnic table / benches. The shower room has an electric shower, wash basin, toilet, shaver point and heater. Bedroom 1 contains a double bed, built in clothes hanging / storage space and bedside cabinet. Bedroom 2, although small contains three bunks, suitable for adults or children and a built in clothes storage space. 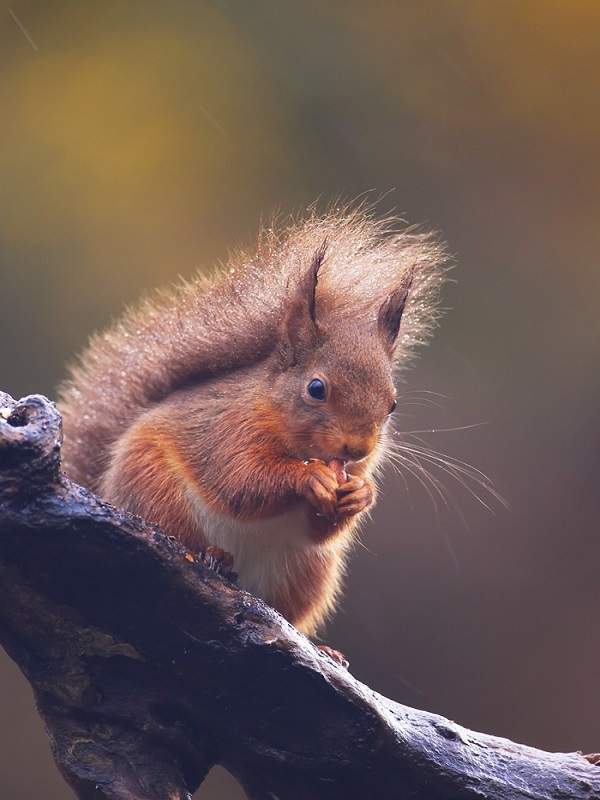 A multitude of birds can be seen around the cabin, especially if fed, as well as Red Squirrels, Roe Deer and Pine Marten. The Pine Marten will visit the veranda at dusk and dawn if you leave food out. They like jam, honey or peanut butter on bread best. 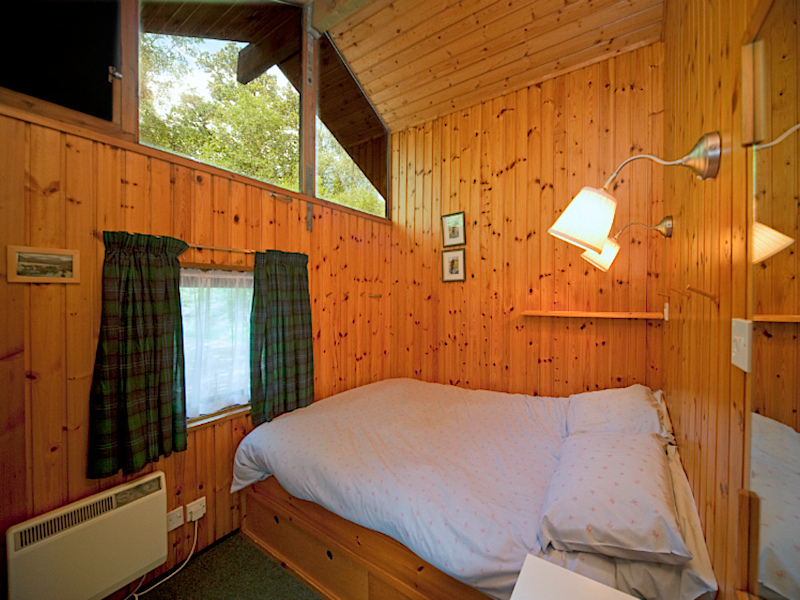 The cabin is double glazed, well heated and is suitable for use all year round. 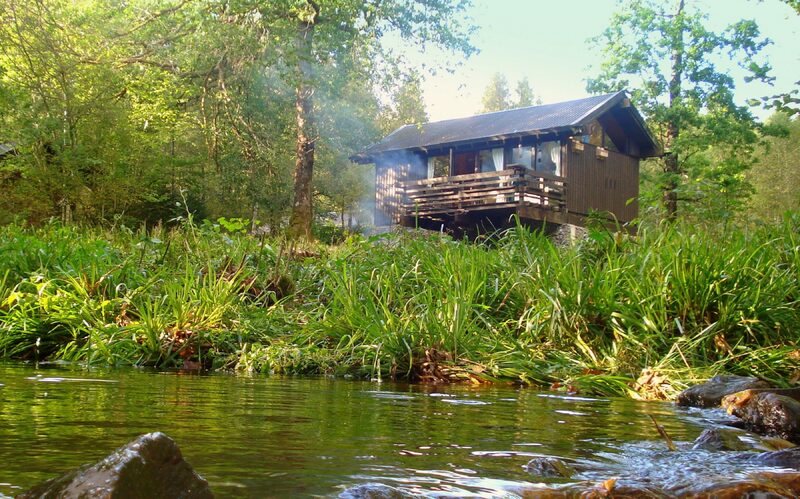 It stands in extensive grounds, has a camp fire / BBQ area and parking for two cars. All electricity and linen (not towels) are included within quoted prices. This is a non smoking cabin. We allow one dog in the cabin at extra £20 per stay. 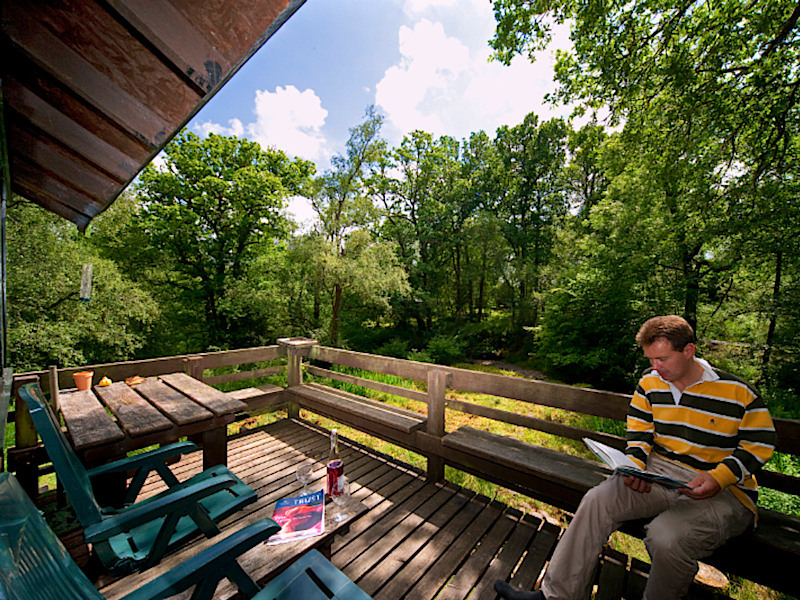 Get back to nature at Dalavich, the perfect forest holiday location. £100 secures your booking, with balance due 30 days prior to arrival.